In this episode, I’m chatting with Carrie Dils. Carrie is pure awesome. She shares her thoughts on this past year, and what she has planned for 2017 including an upcoming book, Real World Freelancing with Diane Kinney. She is the host of one of my favorite WordPress business podcasts, OfficeHours.fm and is a huge Genesis fan. 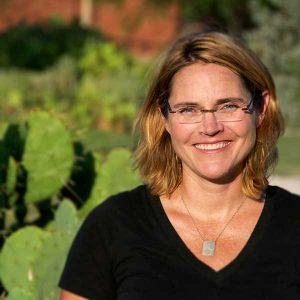 Carrie Dils is a WordPress developer, consultant, speaker and teacher based in Fort Worth, Texas. She loves sharing what she’s learned with others to help them be more successful in their business. She hosts a weekly WordPress podcast at OfficeHours.fm and is a course instructor for Lynda.com. Jackie: Hey everybody, it’s Jackie D’Elia with another episode of rethink.fm, and I have my very, very special guest, Carrie Dils, on the show. Hi, Carrie. Carrie: Hey, Jackie. You’re my very, very special host, so I’m glad to be on the show. Jackie: Thank you. This is the final episode for season one, it’s episode 12, and I thought it would be really fitting to have a conversation with you. You were a big inspiration for me starting my podcast, and just to have you here is awesome. I know everybody else is going to enjoy it as well. Carrie: Cool, let’s do it. Jackie: For the one or two people in the WordPress community that don’t know who you are, would you introduce yourself and tell us what you do? Carrie: Sure. I’m Carrie Dills, based out of Fort Worth, TX. I, historically, have done front end development and years and years of client services and, over the past year or two, have transitioned into teaching WordPress and front end development, some of that on my own and some of that over at lynda.com. That’s where I spend most of my time. Jackie: All right. I’ve got questions for you, like I normally do. Carrie: I love it. I love that you had so many questions you had to start your own podcast just to get questions answered. Jackie: Just to get questions out, or just to say, “I have got a couple more to ask this person.” Yes, it’s been a great experience so far. I just did a recorded podcast episode with Joe Casabona from How I Built It. We did a podcast recording that ended up taking too long so we had to split it into two episodes, but we were both talking about … We both started our podcast right around the same time and we’re in a mastermind group together and did a lot of chatting back and forth about what the experience was like. I think one of the biggest things for me was just trying to figure out all the mechanics of getting everything to work in a podcast. So, hats off to you for being the one out on the pioneer frontier with that. Jackie: The first question I’ve got for you is: I love your year end posts that you do on your blog and I was wondering if we could talk about this one that you just published. You had published a blog post and you went over what has been going on in your world for the year and what your review was like and some guides and goals for 2017. What prompted you to do that and what keeps you motivated to keep doing it? Carrie: This was my fourth time to write a post like that in December. I don’t really know what prompted me to do it the first time around. Now I just do it because I’ve set a tradition and I can’t stop tradition. But it’s such a good time of year to reflect and then determine what needs to … What do they call it? Stop, start, continue? So, stop doing some certain things, start doing some new things and then continue doing whatever it was that worked. That’s what that post kind of sums up. It’s really more written for me than for anyone else, but I put it out there in hopes that maybe it encourages someone else to go through and review their year and set some goals and whatnot. Jackie: I saw you redid your website recently. What prompted all of that? Carrie: Oh, man. I’ve hated my website for a really long time. It’s always been clean and functional, but it’s not had a whole lot of structure to it. Especially this past year, as I backed off of client services, I removed my portfolio, I removed my services page, so it just got to be this … There was just this about page, a blog and a contact page. Nothing about it really summed up what it is I do or how I can help people. That was part of that. Redoing the website was to be intentional in terms of how I’m presenting information and helping whoever lands on my site connect with the right information. I don’t know if I’ve been successful, but it’s better than it was. We could say that. Jackie: I think that’s a good point, though, because a lot of times we’ll build our websites and then, as things begin to evolve in our career, in our focus that we have, a lot of us forget to go back and update our branding message. People will go to your website and go, “Oh, I didn’t realize that you did that. There’s nothing on your website about that.” You’re right, it is a good time to go back and say, “Okay, has my direction changed? What am I focusing on?” I know you and I talked sometime last year about this, but when you’re doing client services on your website and you’re also doing a lot of tutorials, you can kind of get your site deviated into two sections for. You’re like, “Who am I writing for? Who is this content for? Is it for tutorials for people that want to do it yourself, work on their site, or am I writing content to attract clients that want to hire me?” That challenge that you had in organizing the information on your site. Carrie: Absolutely. Those were some good conversations. In the end, my blog primarily attracts a DIY person looking for WordPress tutorials and that sort of thing. That’s also who my courses are directed toward, so that is … I kind of determined I have two target audiences, I guess. The dilemma that you’re saying, in the end, I’m trying to just use basic categorization to segment. These are the articles for that DIY crowd and people who would take those technical courses, then the other segment that I’m focusing on is freelance entrepreneurs or solopreneurs and providing business related content. I’m keeping it all on the same site, hopefully it’s just a little bit easier to figure, to find which one … the piece of content you want. Jackie: I think that’s a good SEO perspective, too, to keep everything all on one site. Of course, Rebecca Gill probably would know better, could advise us better on that. That’s for sure. I’m still going through her course. Carrie: Oh, it’s a great course. Carrie: One of the things that I listen to, I love Pat Flynn’s podcast, The Smart Passive Income. He had a guest on that talked about … It was a real click-baity title, but something like “How I Deleted 300 Posts And 20x’d My Traffic” or something like that. The net of that, I guess, is I went back and started looking at some content that I’d written in the very early days of the blog that really no longer had relevance to my brand, so they were “off brand”, and I got rid of them. I used 301 redirects and stuff to help with the SEO. I’ve still got some more of that to do, but I think it was kind of a cleansing. Like, what about these posts? What am I doing writing about typography? That’s not my thing, why is this on my site? By the way, there are still some typography articles there because they draw good traffic, so I’ve got to figure out what exactly to do with those. Anyways, I’m rambling on, but yeah, the general tightening of scope of what I’ve been writing about and defining that in my head has been very helpful. Most people probably start out doing that. It took me several years to get that. Jackie: You’ve got a lot of content on there too to go through as well, so it would take some time. I’ve done the same pruning on my site as well. Of course I haven’t written as many blog posts, but trying to remove the ones that I’m no longer focusing on, I think helps reinforce your brand. While we’re talking about the year end, was there anything that you had to rethink this year, that you started off at the beginning of the year assuming and then, somewhere during the year, you had to a complete rethink of that whole thing? Is there anything that comes to mind? Carrie: Yes. At the beginning of the year I was employed by a WordPress agency, Crowd Favorite, and so I started off the year thinking that I would be doing that and continuing on in client work. In March, I left Crowd Favorite. No drama there, people are welcome to read about it in that article that you’re referring to. But what I discovered was, I didn’t want to go back to client services. Because I had made a hard break or a clean break from most of my clients at that time, I just stopped taking on projects and started focusing on the projects that I wanted to focus on, the things I’d back-burnered, like my website. I did not think a year ago that that would be how this year panned out, but I’m glad it did. Jackie: Very good. I know you did make some changes in officehours.fm with the community this year, too. Can you share a little bit about that learning experience that you went through with that? Carrie: Oh, sure. A little bit of background for your listeners. I have the podcast and I have this loyal group of people – Jackie, you’re one of them – that would show up every week to ask questions, interact. I got this little burr in my saddle, wouldn’t it be great if we had a community so that all these people who are maybe at similar places in their business or want to talk more in depth about some topics that were on the podcast, let me give them a venue to do that. So, off I went and built this extensive forums and blah, blah, blah. I had wanted to even monetize that in a small way to help offset podcast costs. In the end, it ended up being a total flop. Number one, people didn’t want to pay for it. Truthfully, I hadn’t been able to demonstrate value at that point in it, so that’s not a surprise. But the second thing is, part of that value was going to be: you get the exclusive, insider, office hours track if you’re part of this. I created this platform that was going to require me to invest a lot of time in content production. That quickly become obvious that it … I couldn’t even keep content production regular on my own site, so doing it on that site just didn’t make sense. I went through various iterations where it cost something and then it didn’t cost something. I think maybe, max, that I had maybe 80 folks that joined. But I finally shuttered that and, instead, went with a Slack channel, just the free Slack plan. I’ve had that maybe three or four weeks now and I’ve already got just as many people that are interacting in there. It’s not hopping, but because of the format of Slack it’s not up to me to produce content or whatnot. People can start and engage in their own conversations. Jackie: I think one of the advantages of having it in Slack is, that’s kind of where everybody is hanging out. They’ve got their Slack app open during the day and they can jump from team to team or channel to channel and it’s easy to see. I think the challenge with the forums is, you’ve got to remember to go there, log in and do that. That can be … it can make it more difficult for people to access. It’s just not as easy for them, so that is a challenge there. But you know, where you are now with the podcast, like your relaunch, I love the new format. I just want to say that I think it’s a very nice mix. I like the one a month live, I think that’s great, the panel that you had on the other day that I saw, with Diane Kinney and Ozzy (Rodriguez) and Joe (Casabona), Joe was on there. It was a great, great discussion on there. That’s great, and I think that’s a great mix because the pressure of having to do that every week is off and you can plan it and you can do that once a month. Then you’ve got your pre-recorded audio podcast each week in between all of that. I think that’s a great model. It will be interesting to see if that generates more growth or more downloads and things as time goes by. Carrie: I’ll be interested to see, too. Everything is an experiment. You see what works and when it works you do more of it, and when it doesn’t you rethink.fm. Jackie: Yep, rethink is the same way. That’s the same way. I said 12 episodes, this is 12. We’ll see if we get picked up for another season or if we get canceled. I don’t know. Jackie: On that note, I just wanted to talk to you. The podcast universe is growing exponentially. I’ve noticed that … We’re all doing podcasts. A lot of us have said, “Yeah, I want to do a podcast.” The one thing that’s got me scratching my head lately is, who has got time to listen to them all? Is that going to fragment the market, make it difficult for them to get a large enough audience together when there’s so many, and there’s so many interesting things going on that you want to listen to? I know, for me, one of the goals I have is to get transcriptions done for it so that it is easy to scan a podcast and read it over to see whether I want to devote 30 or 45 minutes or an hour of my time to listen to it. What are your thoughts about where we’re all going with this? Carrie: Goodness. You’re right. There are a lot of people constantly booting up new podcasts, and the number of them that make it to 12 episodes or even 10 episodes is … The life expectancy is rather short, understandably, because as you know it’s not easy. I think it looks easier, perhaps, than it is. But as far as the space being too crowded, I don’t know. Give any given person that you want to interview. Chances are, maybe that person has done a very similar interview on five or six other podcasts over the course of a year or two years. It’s less about the guest, I think, and more about people who care what it is that you have to say and your style and the way that you interview. Basically, they’re following you. They’re not necessarily … Whoever you bring on the show, they’ll be glad to hear from because you brought them on the show. Fragmentation, I guess I would say that we’re not all competing for the same audience. There’s people that are going to be attracted to how I built it, which is a more technical podcast, and then there’s going to be people that are more attracted to The Matt Report because it’s more business focused. They appeal to different audiences, but we’re in a small pool, I think, in our minds. But WordPress is now powering 27% of the web, so something tells me there’s still people out there. It’s just, how do we become known or get found by a quarter of the web? Jackie: Exactly. There’s a lot of people out there that could gain some insight from some aspect of WordPress discussions. It doesn’t necessarily have to be developer or font end or business related. It could be DIY folks that are looking for some basic help on how to start a podcast, how to build a blog, how to do a lot of things. I agree with you on that. Next question I’ve got jumps to your book that you’re doing with Diane Kinney. I love the title, and of course I can tell Diane’s artwork must have something to do with that layout and how good it looks. I did see an early copy of that and I was like, “I love that, it looks so good. I want to go camping. I want one of those Swiss Army knives. I want the whole thing. I want a cup with the Swiss Army knife.” Talk about that and kind of just … What’s the inspiration for that and what do you want that book to do? What do you want it to offer? Carrie: That’s a great question. The book is Real World Freelancing, and you’re right. Diane, before she would let either of us write a word, she had to design the book cover so that it “set the tone” for the rest of what was to come. The inspiration for it was really just, if I could go back and mentor a much younger me, as I was starting out in my web development career, this is what I’d like to say. It’s called Real World because it’s the no BS guide to freelancing or no BS survival guide. The reason is, there’s a ton of bad advice on the web about starting a business or running a successful or profitable business. I’m not saying that ours is magically going to be better, but my hope is that it’s an honest approach to what it looks like to be in the trenches every day and run your own operation and get rid of this pie in the sky, four hour work week, mentality. Jackie: If you were going to start over, what would be something that you would have changed right from the beginning? Carrie: Right from the beginning, I would have understood how business taxes work. Wow, that is a great question. I don’t think I have a very satisfactory answer on the books. I think there’s certain things that you do. I’m going to contradict myself here. There’s certain things that you do, you just have to learn by way of experience. For me, in those younger years, it was starting out solo. Then it was contracting for a development firm. Then it was me and five of my friends trying to make a go of an agency. Then it was back to me freelancing again, because it’s hard in partnership situation to get everybody to contribute equally. I don’t know if I would change any of that because that’s all good knowledge in my knowledge bank. Jackie: I remember you talking about one story that you shared, I think you shared it on your podcast. You had done some work for a client and they wanted some enhancements or a lot of changes and improvements. You went ahead and made all of these and you went to their office and showed them everything and then gave them an invoice. They were like, “We’re not paying that.” I think you had said, wow, that was a real learning experience on how, maybe, to re-approach that. Carrie: Yeah. That was a devastating visit that day. You’re right. The takeaway there would be communication and how you communicate about the work that you’re don’t. Really, over-communication is impossible. Well, maybe it’s not impossible, but communicate as much as you can with the client. It’s almost like a counseling session, if you’ve ever been to therapy. The therapist basically just repeats whatever it is you say, echoes it back to you. In some ways, client work is the same. It’s making sure that you understanding what it is that they have said and that they’re hearing you say what they said because sometimes that can point out some ideas that maybe weren’t as great in their head as they sounded when they were spoken out loud. That communication piece, for sure. Jackie: I had Erin Flynn on the show, I think on episode three. She’s really good at communicating, creating a welcome packet and an intro packet. She got me to do that with my business as well, and boy did that really open up my mind about how little communicating I was doing. Every time there’s a probably that occurs in my business now, I look and say, “Well, what could I have done to avoid this? How could communicating better, earlier, have made this go smoother?” I’ve found it’s been a big help for me in putting together all of how I work, what the process is like, and putting all that in an intro packet. That can help screen out people that are not a fit for you. Then, a welcome packet can really tell clients, right off the bat, how we’re going to work together and what the expectation is for both parties. I like all of that. It’s got me now where I’m just automatically communicating better. If somebody says, “Hey, I’d like you to do some work for me,” I’ll say, “Great. This is what it’s going to cost. I’ll need a 50% deposit to get you on the schedule. I’ll shoot that invoice over to you.” Just the way that you’re phrasing things gets the assumption that, “If we’re ready to go, I need to make a payment and get things started instead of having those difficult conversations sometimes about getting a payment from a client to get started and just that process. When you formulate it and put it all in writing, it just makes things so much easier. Carrie: I love that on-boarding. That sounds like a series of blog posts you should write. Jackie: That is, that is very good. I like that idea. Okay, I’m going to do that. That’ll be for 2017, January, I’ll be doing that. What else can we talk about? I had some other questions for you. One was on Utility Pro. You know I’m a fan of Utility Pro because I use that as my starter theme. Do you have any plans for the future and some enhancements that you’d like to do, or are you done doing theme development? What are you thinking? Jackie: You made it easy, though, to turn those features off in the theme. I find it very helpful, even for me, where I’m not using those specific areas, that I was able to adapt it for my workflow. I think the beauty of Utility Pro is maybe not – and this is just my opinion – but maybe not the reselling of that to DIY clients, but to developers who want to take it and make it their own starter theme and workflow as a good example, a base to get started from. Because once you start going in and making all your changes to your sass and things, you kind of get separated from the original theme. There’s not really going to be an easy way to do updates and things with that, but I think it’s a great learning tool of: this is how you should build out a starter theme. Carrie: Thank you, yeah. I don’t know what exactly the fate will be. I am comfortable saying that the theme will continue on and be available, whether it’s in my hands or somebody else’s. Who knows, it’s already open source. Maybe I just open up the gates. Jackie: Oh, dear. Open up the repo. Carrie: In that case, it would not be supported. Jackie: While we’re talking about themes, I just have one question I was going to ask you. I’m still seeing a lot of themes being sold where custom post types are added in the theme. I’m just wondering why. Why, why are we doing that? Is there really a way around it, at this point? I realize, people that build themes, they want to have that functionality in there and they want to kind of have it all pre-packages so you get the theme and you get the whole thing. But I think it is doing a disservice to people when they don’t realize that if they want to change their theme, that some of the content that they’ve entered is not going the be available to them without some intervention. Meaning, you’ve got to find out, what was the name of that custom post type and then go in and write some code to bring it back into the theme. Even some Studio Press themes have custom post types in there, and I’ve seen some third party Studio Press themes that are doing that as well. I’m just wondering, what do you think about that? Carrie: I think people do it for convenience. It’s nice to be able to give a complete package to a customer when they install a theme, but like you said, it is a tremendous disservice and maybe not one, depending on the experience level of the developer, maybe not one they realize until they have to face swapping out a theme that’s got custom post types. For Studio Press, I can see them doing it merely from a support perspective. It’s doing the things you’ve always done things reduces the support overhead. Jackie: But they also want to sell other themes, right? So they want to make it easy to switch themes, so that, “Oh, you bought this theme from us last year and now you can buy this one. This one has got a new design on it.” “Oh, but that one doesn’t have the custom post type in it that this one had.” I could see where that’s just frustrating. I think if you’re going to sell a theme then just give the plug in away with it. Carrie: Oh yeah, just make it a must-use plug in. It doesn’t even have to be must-use, just use if you want, if you need that post type. Jackie: Just use it if you want. The other thing, while we’re talking about Studio Press, was the legacy code in Studio Press, the XHTML code. I think that is going to be changing in the future and I’m hoping that that’s all going to get removed. What would you like to see happen with Genesis, going forward? I know you’re a fan of it, I’m a fan of it. Carrie: Ooh la la. In terms of the legacy code base, for the most part, the code still operates pretty lean, from a performance standpoint, even with that legacy code in there. Of course, if you use the actual source code as the tutorial or the documentation for working with Genesis, then it just kind of clutters up the scene. It’s very well commented, but it still clutters up things. How many customers are they up to? It’s tens of thousands, maybe 100,000 or more at this point. The idea of making … cutting off support for sites that are running those older themes, that’s just frightens me. I would be frightened for the people at the Studio Press support. Jackie: Yeah, because there’s a dilemma there. If they try to split it into two versions, right, so we’re going to have version three of Genesis which will support HTML 5 and it’s not going to have all of the legacy code in it. Then you have to maintain two code bases because you’re still going to have to have security updates and things for the other version. I can see where that would be a challenge. You wonder, at some point, where do you get to the point where you say, “Okay, we’re going to let that legacy code go.” It’s like IE support for IE8. At what point do you just don’t care anymore in your style sheet, whether or not it works in IE8. Jackie: Yeah, a nice road map would be handy in saying, “Okay, for this 18 month period there will be support for both,” so everybody has a plan going forward. I would suspect there is a lot of sites that aren’t even updating their Genesis framework. That goes back to another whole topic question that I was just going to bring up. There’s been sites I’ve built for clients and in hindsight, now I think I really don’t think WordPress was probably the best option. For those that are not editing their sites at all, they’re not writing a blog, they’re not doing anything. I wonder if a static site would have been a better option than just leaving those unsupported WordPress sites out there. Have you ever had those, where you’re thinking that as well? Jackie: No, it’s just me, it’s just me. Carrie: No, I have had the thought. There are some earlier sites that I wish I had handled better on that communication piece of … There are responsibilities associated with maintaining this site moving forward. I didn’t always do a good job of communicating that. As far as static HTML sites, I was looking at Web Factory Limited, I just interviewed Gordon Orlick on my podcast. Their website, if you go to it, it’s static HTML. It’s not WordPress, but their whole business is built on creating WordPress plug-ins. I just had to laugh. They’re not even using this EMS on their site and that’s because, truly to your point, they don’t need it. It’s basically a sales page. Jackie: The site will definitely load a lot faster. If you don’t need the WordPress CMS, you’re better off not using it at all because your site is going to be much faster without it. Carrie: Yeah, but it’s … I get stuck in the mentality of: I’ve got a round peg and I’m going to hammer it into whatever hole I find, regardless of shape. Jackie: Okay. Speaking of WordPress then, the rest API, the end points came out 4.7. I know you guys were talking about it on After Office Hours this week. I liked some of the … I think Joe made a really good comment about how it’s possible to have a completely different WordPress admin. I know I’ve talked about that, Tanya and I talked about it on the first episode of rethink, about the separation of some of the functionality. Diane brought it up on your chat as well, that some things you maybe touch once when you’re working on the site and does all of that really need to be loaded up when you’re in the admin dashboard? Does all of that code need to be loaded up? Can you just have maybe configuration and content editing and administration and kind of separate those things out? Maybe there will be a time where they will be completely separated and you’ll fire one up to do some specific tasks and then fire another one up. Or, will the rest API make it possible for people to just start writing their own dashboards? Carrie: Own dashboard, yeah, absolutely. I don’t really want to go write all that code right now, but that’s the beauty of it is that you could attach whatever sort of interface to it you wanted and still access all the data and the structure and the way WordPress operates. I’m very glad that the rest API was rolled into 4.7, even though not all the end points are there. I know there was some debate on that. But I think, and Matt [inaudible 00:33:37] even kind of said this at the State of the Word, that he was disappointed that there weren’t more examples to point to of sites that have embraced the rest API and the really delving into the depths of what you can do with it. I think it’s … The fact that it now exists and those things are possible is amazing and it’s great for WordPress. But to date, I just haven’t seen much done with it. I have a client right now … I know I said I’m not taking clients, but I have a couple. It’s like a drug. I can’t entirely quit. I was trying to choose between Shopify and WordPress to see what would really be the better platform for them. In the end I think that I’ll go with wordpress because there’s some features there that would just be harder to implement in Shopify. But man, I logged into that Shopify dashboard … I think I’m so used to how ugly our dashboard is that I forget that’s not the way all administrative panels have to be. It was just so beautiful and easy. Jackie: I think you’re right. We know it so well that we’re kind of immune to the effect of it. But if you’ve ever sat with a new client or talked with somebody who was just logging in the first time and they see all of the dashboard that it really is, it’s overwhelming for most people. That’s where the opportunity is, to create an interface that will allow a nice, clean, easy dashboard for somebody to edit their content. Most of the people that are going into WordPress to do that are not going there to update plug-ins, they’re not going … Maybe have a separate maintenance section where you do all of those things, and then have separate user access so that you can say, “Yeah, you can do anything you want on the content side, no problems,” but there’s no plug-in updates unless you have this login or you log in with this code, so that there’s no accidental problems with people using the editor, for example, inside the dashboard, or things like that. I think that we’re just so used to how it looks that we don’t realize. Then when you go to look at some of the other, competing products that people are using and you think, they designed this today to serve those clients and to make that an easy, beautiful experience for them. I think there’s a lot to be said for that. Carrie: Yeah, definitely. Part of the advantage that a Shopify or Wix or something like that has, they’re hosted solutions just like wordpress.com, so it’s easier to control that experience across the board. At this point, I can’t imagine a client who would want to pay me to go in and completely recode the dashboard on a one-off site. On the other hand, if I was offering some sort of a sass, like Happy Tables or Rain Maker, then yeah, it makes sense to go through and create a very tailored admin experience. Jackie: I think if you coupled that with the ability to export everything or transfer it somewhere else, I think that’s the big dilemma that we all face. We want to have a self hosted site because we want to have control over our data. We want to be able to move it, keep it, do whatever we want with it. You go with a hosted solution, you always have that fear that they’ve got all your stuff and they’re not backing it up properly or the company goes out of business overnight and your website is gone and you have no way to restore it. Those are all of those fears that everybody has. But the hosted solutions make a lot of sense for most people, they really do. You just need to have that flexibility. I don’t know if you can export Square Space and be able to import. I’m sure it can be done, but certainly they are not making it easy. Carrie: I think that is probably a true statement. Jackie: The WordPress dashboard is just ugly. Carrie: It really is, but here’s the deal. I know that there are volunteers that have spent a whole lot of time making it what it is. If you look at the improvement to it over the past 10 years, it’s leaps and bounds from what it was. Jackie: All right, I take that back. It’s not ugly, it’s just built for developers. Carrie: Oh no, it’s still ugly, it’s just not as ugly as it was. Again, working with the restraints of … I don’t know how much of that is legacy that would be difficult to retire. WordPress.com is now Calypso, is what they’re using on the back end, so will we maybe see that on self posted? I don’t know. Jackie: We’re just coming up to the end of our time. Is there anything you want to share or any good news or things you want to sprinkle? Carrie: I don’t think I have anything, any sprinkles. I should have something profound to say right here but, Jackie, I don’t. I do know that I appreciate you very much and appreciate what you give to the community in terms of time and information and just being a good friend and a listening ear. The world needs more of those. Jackie: Oh, thank you, and you know I feel the same way. I do have one thing that we can use for ending the show. You had Chris Courier on your show. Jackie: I really enjoyed listening to that episode. There was one thing he said – I tweeted it out this morning – that he said that just really struck me. He said, “I’m not rich, but I live a rich life.” I heard that I went, wow. He’s such an awesome guy and he has touched so many people and has helped so many people. I loved the way his whole story started about he was just freely giving and freely giving, but he still had a business model in mind as well. It was such a great conversation, and I loved that takeaway. Carrie: Thank you. As soon as he said it, I was like, man. That’s the quote right there. We’re always chasing that next dollar or grow the business to whatever invisible level we’ve said it needs to be at. I think him saying that was so spot on. Even if you’re not making a ton of money, are you doing the work that you love doing? If you can pay your bills doing the work that you love doing, you’re living richly. I loved the way he put that. Jackie: That was really good. Well, Carrie, if people want to reach out to you and get ahold of you, say howdy, how can they find you? Carrie: They can say howdy to me on twitter at cdils, just one “l”. I like to say, “Like the pickle, but one ‘l’.” Sorry you, can cut that out. Then over at carriedils.com. Jackie: Carriedils.com, all right. I’m not cutting anything out of this one. We’re just going to leave it. It was just a great episode. Hey, I want to wish you a merry Christmas. This is going to air right after Christmas, but it will be that week of Christmas. To everybody, have a merry Christmas and a happy New Year and I’ll see you in 2017.